This discovery, however, was a double edged sword. 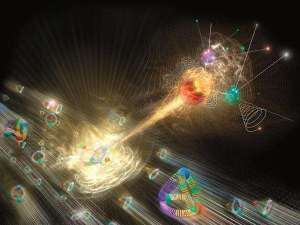 The Higgs has gotten all of the media attention; however, quantum theories also suggest that scientists should have found a host of other particles along with the Higgs in order to really show that the whole theory makes sense. Thus far, these particles haven’t been found. That might not sound like a big deal, but without these accompanying particles, using our current understandings of quantum theory, the Higgs’ mass in reality is exponentially different than what is predicted by the modified theories. Of course, something somewhere is wrong. It could be that we are missing a piece of the puzzle that allows a Higgs boson with a mass 126 giga-electron-volts to exist (in contrast to 10,000,000,000,000,000,000 giga-electron-volt Higgs our math currently says should exist due to its interactions with other particles), or it could be that somewhere our math is fundamentally wrong, or the universe could simply be unnatural. “Naturalness” is a term coined by Albert Einstein, and it is used to describe the elegantly intricate laws of nature. In a natural universe, absolutely everything can be explained with the aid of mathematics. All of the constants of nature are refined by the physical laws of nature and the entire puzzle makes perfect sense. In a unnatural universe, the horrible idea that some of the fundamental laws of nature are an arbitrary byproducts of the random fluctuations in the fabric of spacetime becomes a reality. The LHC has been nothing short of a revolutionary force in advancing our understanding of the cosmos. Many times, revolutionary understandings present uncomfortable truths; because the LHC did not find the particular zoo of particles scientists were looking for, it’s forcing a large number of physicists to grapple with the idea of an unnatural universe. Hope is not lost for a natural order though. The LHC will start smashing protons together again in 2015 in a final search for answers and naturalness. If the search turns up empty handed, what will happen then? Firstly, it’s very probable that the multiverse theory will take center stage as one of the most plausible models explaining our universe. If the universe is unnatural, and contains arbitrary constants that allow for conditions in our universe perfect for life to arise, physicists reason that, in order to balance out the improbability of such a universe, there must be other universes with differing laws of physics. 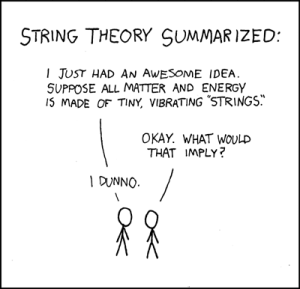 One such hypothesis containing a multiverse construct, string theory, theorizes about 10^500 multiverses exist. With so many universes, it is extremely likely that this random chance would eventually produce a life-favoring universe, and the rest is history. All of the weight of what happens next rests with the scientists at the LHC. Whatever they find (or, don’t find) in the next decade will fundamentally shape our understanding of absolutely everything. Scientists will probe the very heart of physics in an attempt to determine whether we live in an overly complicated standalone universe or if we simply exist in a very friendly bubble in a larger multiverse. In case the doors of unnaturalness and naturalness both seem unfavorable, some physicists have envisioned a third door for a modified naturalness. The main proponents of this model are Joe Lykken of the Fermi National Accelerator Laboratory in Batavia, Illinois and Alessandro Strumia of the University of Pisa in Italy. The basic premise of this hypothesis suggests that scientists are misjudging the affects of other particles on the mass of the Higgs boson. Their idea is far from airtight, when additional particles are thrown in, such as dark matter, the model falters. Strumia has said that he isn’t an advocate of the modified naturalness hypothesis, but he wants to open a discussion for the consequences of such a theory. Even though it has problems now, the same line of thinking could help to resolve some of the problems of seemingly arbitrary constants. Modified naturalness, and naturalness for that matter, has a much larger problem standing in the way. Neither can adequately explain why the universe didn’t annihilate itself in the big bang. 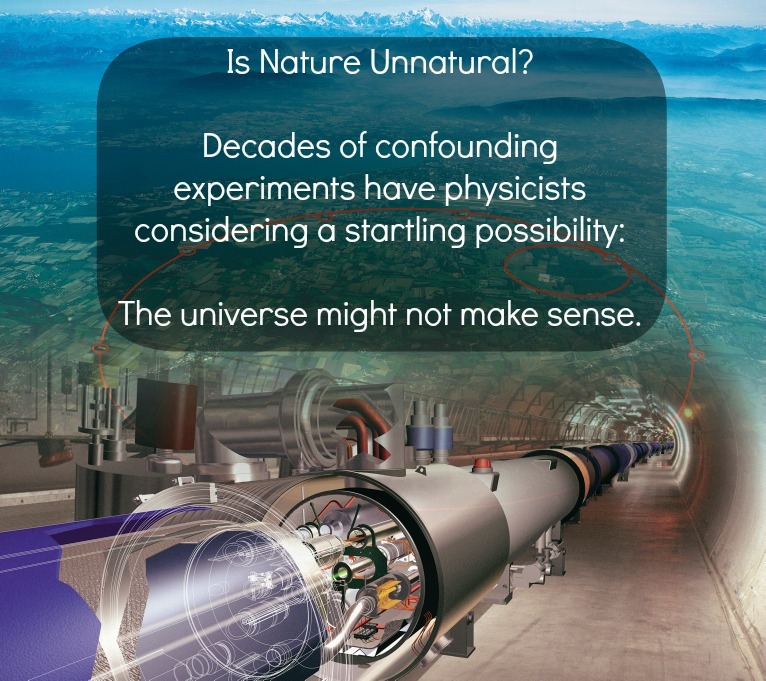 Is the universe natural, unnatural, or does it have a modified naturalness? The most exciting thing about that question is that we are on the brink of having an answer. Whether the answer is comfortable or uncomfortable, pleasant or unpleasant, desirable or undesirable, we are poised to head into a new era of scientific understanding. What is the Value of Manned Space Exploration? Are Hubble Images True-to-Life Representations of Reality?